Glenshesk is the shady glen. 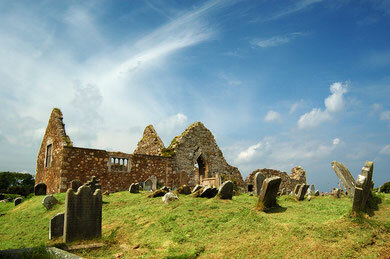 It lies on the eastern side of Ballycastle and sweeps down towards the 15th century Bunamargy Friary. 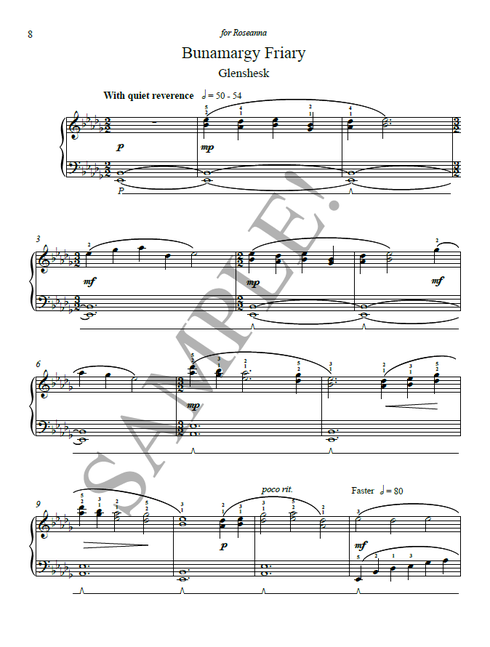 The piano piece is played entirely on the black keys and is an evocation of chanting monks, ending with the tolling of the chapel bell.